One thing that's really changed for me since going SCD/Paleo, is how I see fats. I was raised in the 'Fat makes you fat' era so I've always been hesitant to eat them. I've found, though, that it's the carbs I need to watch. Fats are good for you, make your skin and hair glow and make food taste AMAZING. 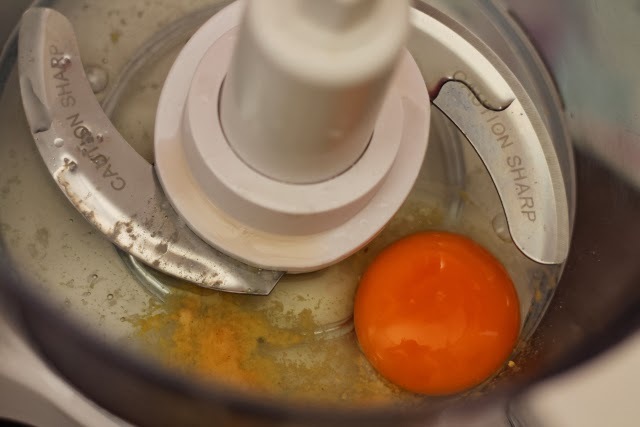 Put the egg, vinegar, salt and dry mustard into a food processor or blender. 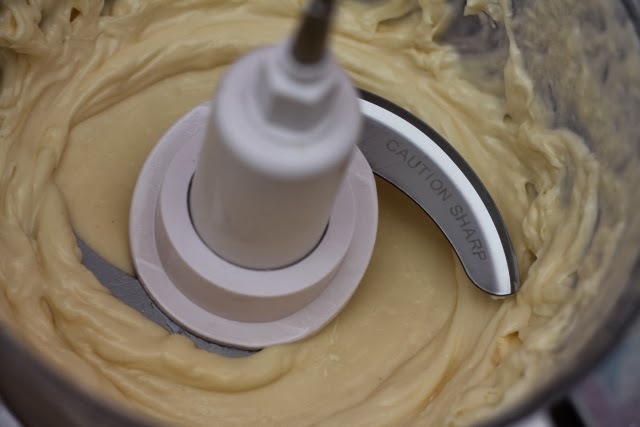 With the processor still running, SLOWLY add the oil, drop by drop, through the space in the top of the machine. 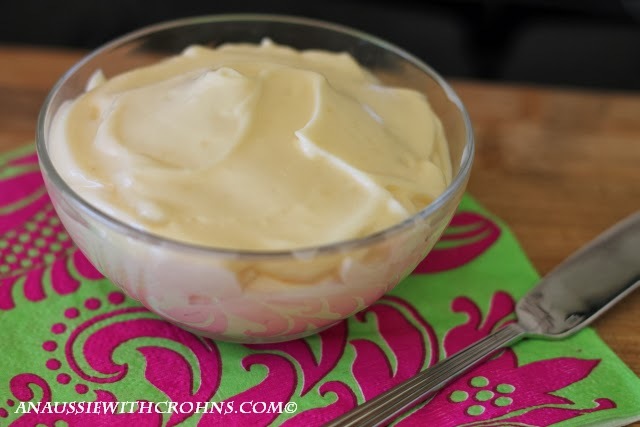 After you've added all the oil, it will now look thick and creamy like mayonnaise. Yay! Taste, then add extra salt if you like. Store in a jar in the fridge for one week. 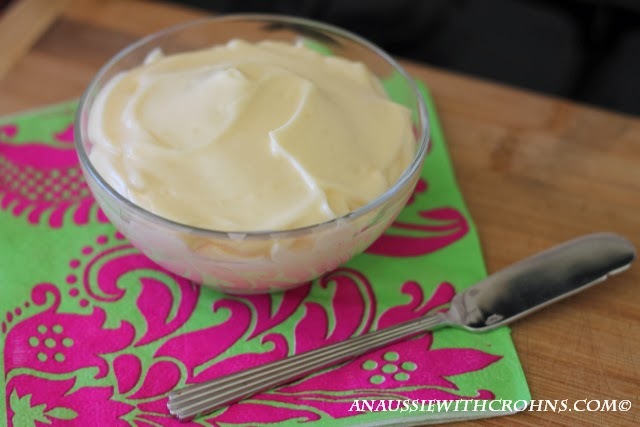 Make sure you use the light olive oil, other olive oils are too strong in flavour for mayonnaise. 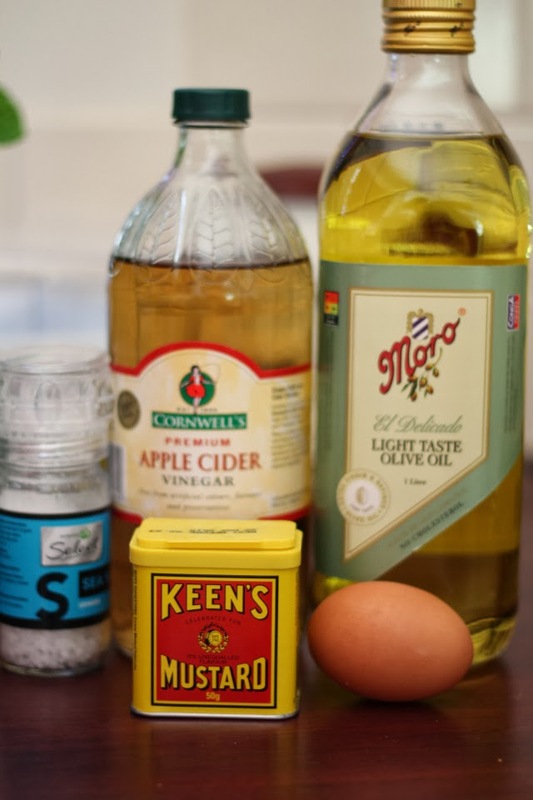 You can substitute lemon or lime juice for the apple cider vinegar, if you like.